Mentorship: An essential element in oral and maxillofacial surgery education. Journal of Oral and Maxillofacial Surgery. 2019 Jan;77(1):9-10. Epub 2018 Sep 13. Teaching in oral and maxillofacial surgery training programs: A resident perspective. Journal of Oral and Maxillofacial Surgery. 2018 Dec;76(12):2461-2462. Epub 2018 Aug 3. Cillo JE Jr, Aghaloo T, Basi D, Bouloux GF, Campbell JA, Chou J, Dodson T, Edwards SP, Kademani D, Peacock Z. Proceedings of the American Association of Oral and Maxillofacial Surgeon's 2017 Clinical and Scientific Innovations in Oral and Maxillofacial Surgery (CSIOMS). Journal of Oral and Maxillofacial Surgery. 2018 Feb;76(2):248-257. Epub 2017 Oct 26. Hudson JW, Daly AP, Foster M.
Treatment of osteomyelitis: A case for disruption of the affected adjacent periosteum. Journal of Oral and Maxillofacial Surgery. 2017 Oct;75(10):2127-2134. Epub 2017 Mar 18. Elkhenany H, Bourdo S, Hecht S, Donnell R, Gerard D, Abdelwahed R, Lafont A, Alghazali K, Watanabe F, Biris AS, Anderson D, Dhar M.
Graphene nanoparticles as osteoinductive and osteoconductive platform for stem cell and bone regeneration. Nanomedicine. 2017 Oct;13(7):2117-2126. Epub 2017 Jun 1. Dennis MJ, Bennett JD, DeLuke DM, Evans EW, Hudson JW, Nattestad A, Ness GM, Yeung A. Improving the medical curriculum in predoctoral dental education recommendations from the American Association of Oral and Maxillofacial Surgeons (AAOMS) Committee on Predoctoral Education and Training (CPET) Journal of Oral and Maxillofacial Surgery. 2017 Feb;75(2):240-244. Epub 2016 Oct 26. Carlson ER, Langdon JD, Ord RA, Brennan P, Patel MF: Cysts of the jaws, face and neck. In: Operative Oral and Maxillofacial Surgery 3rd edition, London: CRC Presss, Chapter 9, 91-100, 2017.Carlson ER, Campbell J: Langerhans Cell Histiocytosis. In: Oral and Maxillofacial Surgery 3rd Edition. St. Louis: Elsevier, Chapter 22, p.523-533, 2017. 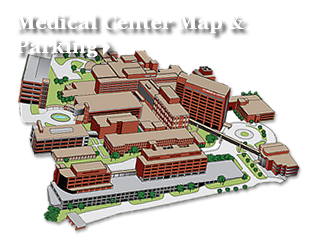 Jacob PK, McCoy JM: Diagnostic imaging of salivary gland pathology. In: Carlson ER, Ord RA (eds): Salivary gland pathology-Diagnosis and management, 2nd edition. Hoboken: Wiley Blackwell, Chapter 2, p.17-68, 2015. McCoy JM, Sauk JJ: Classification, grading, and staging of salivary gland tumors. 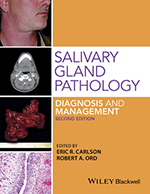 In: Carlson ER, Ord RA (eds): Salivary gland pathology-Diagnosis and management, 2nd edition. Hoboken: Wiley Blackwell, Chapter 7, p. 163-202, 2015. McCoy, JM: Biopsy Techniques. In Kademani, D, Tiwana P (eds.) Atlas of Oral and Maxillofacial Surgery, St. Louis, Elsevier, Chapter 80, 840-847, 2015. Campbell JA. Advanced specialty implants. Presented at Tennessee Society of Oral and Maxillofacial Surgeons (Invited Lecture); 2019 Feb 9; Nashville, TN. Hudson JW. Osteomyelitis. Presented at Tennessee Society of Oral and Maxillofacial Surgeons (Invited Lecture); 2019 Feb 9; Nashville, TN. Paolino C, Cho RA. Platelet-rich fibrin (PRF) and bone preservation after tooth extraction. Presented at American Association of Oral and Maxillofacial Surgeons Annual Meeting; 2018 Oct 8-12; Chicago, IL. Brooks SR, Cho RA, Campbell JA. The yield of CT angiography in mandible fractures caused by blunt force trauma: Is it a necessary study? Presented at American Association of Oral and Maxillofacial Surgeons Annual Meeting; 2018 Oct 8-12; Chicago, IL. Hudson JW. Treatment of myofascial pain and dysfunction with onabotulinumtoxinA in patients with chronic migraine encephalalgia. Presented at American Association of Oral and Maxillofacial Surgeons Annual Meeting (Invited Lecture); 2018 Oct 8-12; Chicago, IL. Shealer ML, Cho R, Mascaro MR, McMichael EB, Rogers J, Southerland J, Mouton C, Ferguson-Young D, Farmer-Dixon CM, Tabatabai M, Gangula P, Halpern LR. An innovative protocol to correlate Intimate Partner Violence (IPV) exposure, salivary biomarkers and risk of Cardiovascular Disease (CVD). Presented at American Association of Oral and Maxillofacial Surgery 99th Annual Meeting; 2017 Oct 9-14; San Francisco, CA.